I asked in the title, “seriously”? Apparently so. 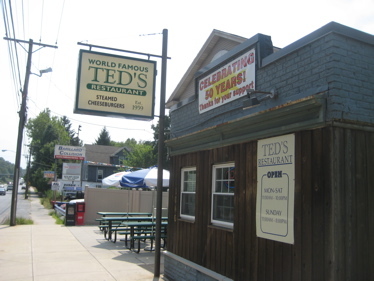 Ted’s is iconic in much the same way Louis Lunch in New Haven is (CTMQ’s visit here.) That is, it’s unique and it’s old and therefore it has cache and apparently people like to pretend it’s good. See, here’s the deal. Connecticut, for some odd reason, has a thing for steamed cheeseburgers. In fact, we were just named the hamburger state by some food blog. This was mostly because Louis Lunch is credited with inventing the things I guess, but also because we have more than one establishment that doesn’t cook ground beef the normal way. They like to steam it. 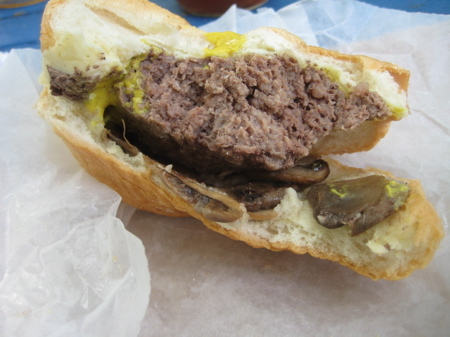 Regardless, I continue to forge ahead and almost finished my steamed burger from Ted’s near the end of a full summer’s day of CTMQ’ing in Middlesex and New Haven counties – pretty much the only places on earth this type of burger is on offer. I should note that the Roadfood list had three steamed burgers on it, but one place (Roscoe’s in Hartford) has since closed. 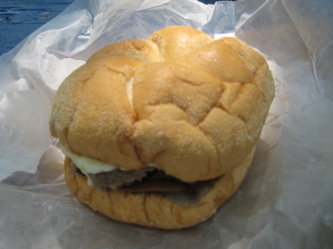 The steamed cheeseburger is one of the most geographically focused of all Roadfood specialties. 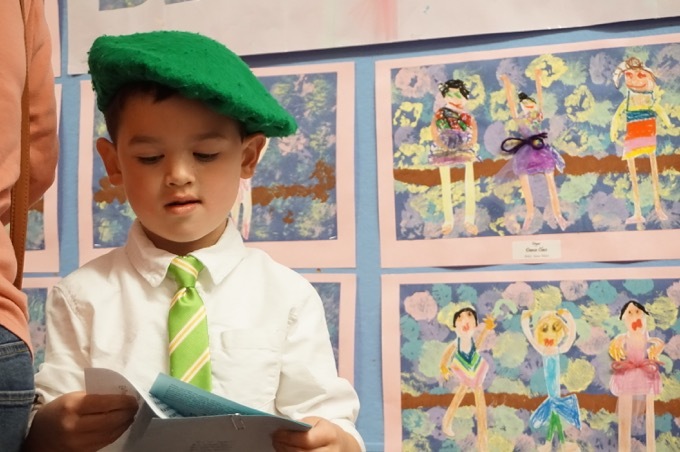 It is available within a twenty-five mile radius of Middletown in central Connecticut, where perhaps a dozen different restaurants make and serve it. 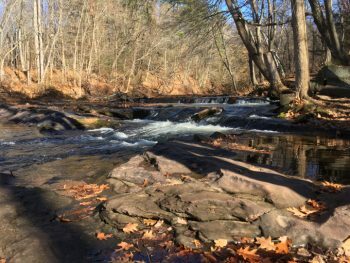 Fifty miles away in Connecticut, or anywhere else on earth, no one has heard of it. A steamed cheeseburger is very different from a regular cheeseburger. It is cooked not on a grill or grate, but in a steam cabinet, the meat held inside a squarish stainless steel tin as it browns but does not sizzle. Adjacent to the cooking beef patties in the steam cabinet are tins into which are placed small blocks of cheddar cheese. The effect of the steam on the cheese is to make it molten. The concept of steaming meat and cheese was supposedly devised in the 1920s, when steaming food was considered more healthy than frying it. Local historians credit Jack’s Diner as the source of the first steamed cheeseburgers. They say Jack’s began as a horse-drawn eats-cart out of which Jack served steamed cheese sandwiches to local construction works. When the men wanted a more substantial, he added beef to the steam box and the steamed cheeseburger was born. 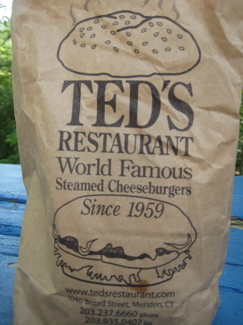 Jack’s is long gone, but at Ted’s in Meriden, you can eat a steamed cheeseburger made to perfection. Paul Duberek, Ted’s son and proprietor of the little burger joint, assembles his masterpiece by putting a steamed rectangular patty onto the bottom of a hard roll, then using a spoon or spatula to slide a big gob of partially melted cheese out of the steel tin onto the top of the burger. Into the bun go lettuce and tomato and, preferably, mustard; and you’ve got one heck of a messy but delicious cheeseburger! Ted’s is a tiny place with four booths, but the best place to sit is at the counter – a short slice of Roadfood heaven. Generally occupied by regulars who palaver with Paul as he attends the twin steam boxes, counter seats provide a view of the bin of chopped meat from which Paul grabs fistfuls for the burger boxes as well as a pile of hard rolls and big blocks of cheese ready to be melted. You see? That really just doesn’t even sound all that good now does it? And when Stern captions his glory-shot of his burger with, “”What a delicious mess! I was able to eat about half of this hefty steamed cheeseburger before it completely disintegrated onto its paper plate. I ate the rest by picking and plucking at the pile of meat, bun, cheese, tomato, onion and lettuce,” that doesn’t help matters much. I arrived around 2 in the afternoon and entered the tiny, tiny Ted’s and must admit, I felt a little awkward as a first-timer. A couple regulars stared me down as I stammered my order. This place is so small, that I would have felt like a total idiot snapping pictures, so I didn’t. It’s downright claustrophobic and who wants to see a handful of ground meat scooped up and molded into a square for steaming? I got mine with some mushrooms and hit the road with it. All the way down 66 to Roadfood stop #2 – Guida’s in Middlefield for their hot dog (CTMQ visit here) where I ate my burger on their picnic table. 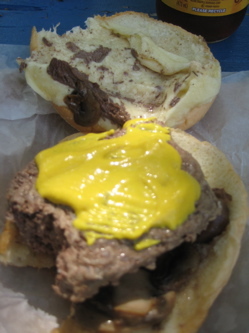 Hamburgers are not an appropriate choice for Connecticut’s state food, Louis’ Lunch notwithstanding, because they are no more popular in Connecticut than anywhere else and aren’t associated with the state in popular culture. Granted, it’s a bit esoteric, but I would nominate Election Cake as the state food. Pizza for New York is another poor choice. Buffalo wings would have been much more appropriate. It was a mistake to take the burger with you, I love Ted’s, but I never get it to go. It isn’t the best when it has sat for 20 minutes, which must have been how long it took you to get to Guida’s. I think steamers are the best burgers ever. Probably a very fair criticism. And since I had a “fresh” steamer at O’Rourke’s which I found to be way better than Ted’s, I’m tending to believe Matt’s contention.